The Jones Hovercraft really is a hovercraft that sits mainly on top of the snow but also does great on groomers. The 2017 and 2018 model come from a different factory, have a more dynamic flex and a little change to the hybrid camber profiling in the tip/tail. It’s still a great ride. There aren’t any real changes for the 2019 Jones Hovercraft so the 2018 review still stands. Approximate Weight: Felt normal for its size and volume. Flex: The flex definitely changed now that it’s made in SWS and it’s for the better. GST made some pretty stiff boards so it was nice to see the flex mellow a bit. It’s still a stiffer board but it’s just not quite what it use to be. 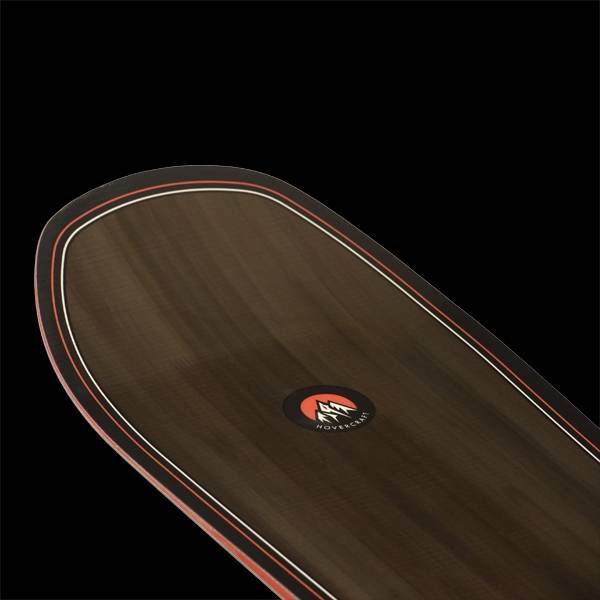 On Snow Feel: Now that the Hovercraft has lifted sides as well as a hybrid camber profile we thought there would be a noticeable difference in how the board would feel underfoot compared to the old profile that we loved. Instead, it still feels almost the same between the feet and it’s still a stable ride in the flats or one footing that tracks well. Edge Hold: The Jones Hovercraft still has great grip and it grabs pretty well in harder snow as well as doesn’t grab in softer. Still a great board for riding in most conditions people want to ride in. It’s not ideal for those that ride in hard to icy conditions but it’s outstanding for those that see softer snow but still want to go out and ride when it’s firm and have an edge you can trust. Turn Initiation: Not a quick turner and it likes those that like wider radius turns and straight lining. For a size 9 boot on the 156, I felt it turned better than I thought it would but it’s still not super quick or something I really like in tight spots compared to boards like the Yes PYL or Jones Flagship. It likes more responsive bindings and responds to the extra response well. 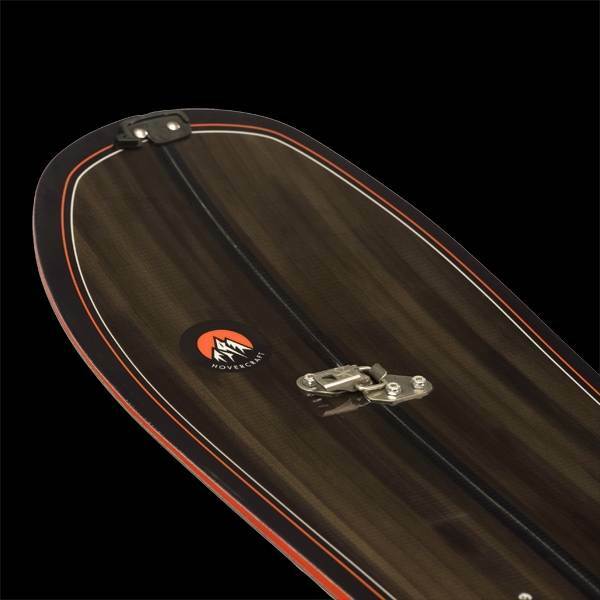 My ideal binding with the Hovercraft is the 2017 Union T.Rice as it really powers the board well edge to edge but any binding that is more on the responsive side like the Burton Genesis X will work. Skidded Turns: What’s nice about the Jones Hovercraft is even though it doesn’t turn quick it skids out easy so it’s not that hard to throw around. It’s not the easiest and does not flick back and forth like the Flagship but it is easier than you would think. Carving: So when it comes to a carve I was really worried that the 2017 Hovercraft with the lifted side tech would lose a lot of carving power and have that washy feeling like many of the times I rode Aviator. Even though this has the most drastic lift on the sides of the Jones Line it didn’t fall apart on a carve like the Aviator. I think it’s because most of the lifted side/spoon tech happens after the camber ends. With the Aviator the camber ends just before the tip/tail and the spoon tech is more noticeable there. This gives you a false sense of camber when carving and we always feel the edges wash out when we really commit. It’s still a shade less as good as the older Hovercraft but it’s nowhere near as bad as I thought it would be and you don’t get that surprise washy feel like you do on the Aviator. If you want a powder board that can also really carve then I’d consider 2017 Yes Optimistic. It carves harder and does so with tighter circles. If you want to point it more then it’s the Hovercraft. Speed: Even though the flex is less stiff than it used to be the Jones Hovercraft feels just as damp so no compromises here with the softer flex. It’s a great feel to it and it can still bomb. 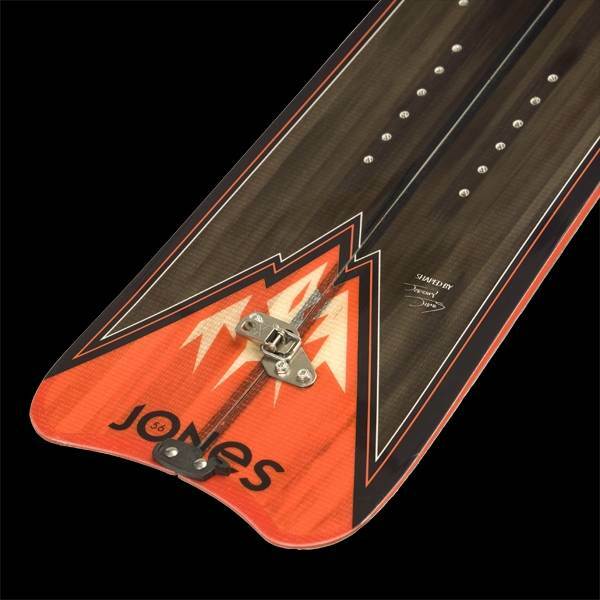 Powder: The Jones Hovercraft was already a champ when it came to flotation and it really does sit on top of the snow so it seems the new spoon tech just ups it. I haven’t gotten it deep with the 17 and only really experienced a few deep powder days with the previous models so can’t say for sure how well it does but hopefully, I will be able to do so. Pipe: Not a board that comes to mind when riding the pipe either. Pretty much keep this out of the park. 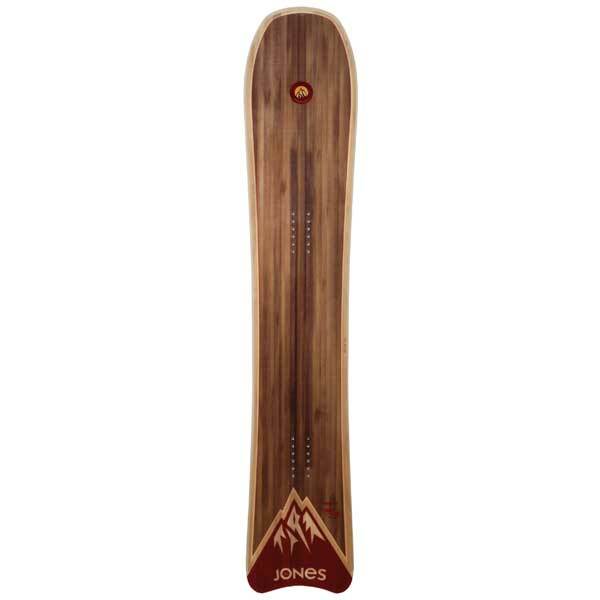 Jumps: This back seat camber profile is great and I think that’s what a lot of powder boards are missing with the rocker or flat to rocker camber profiles. It gives you some nice drive off the tail for a good ollie. Also it’s really fun for directional air. The new 17 SWS model has more spring off the tail too. So all in all I was really worried about this lifted tech but after riding it I feel that other than carving the Jones Hovercraft is better overall than it used to be and still a strong recommendation. Not too much has changed from 2014-2016 except a few little tweaks. The 2015 Jones Hovercraft is the same great ride as before in terms of shape, specs and over all personality. About the Unique Sizing- It’s made with pretty wide waist widths but its not intended for feet as big as you would think. For example the 156 is better for feet like my size 9 boots and sizes close to that. So even the biggest size 164 with it’s 26.8 cm waist is more for mid/wide boots instead of wide boots. So a Wide boot could fit the waist and have fun with this board but it won’t have the same desired effect as it would for smaller boots. Conditions: Everything from 3 feet plus of powder all the way down to hard bordering on icy snow. 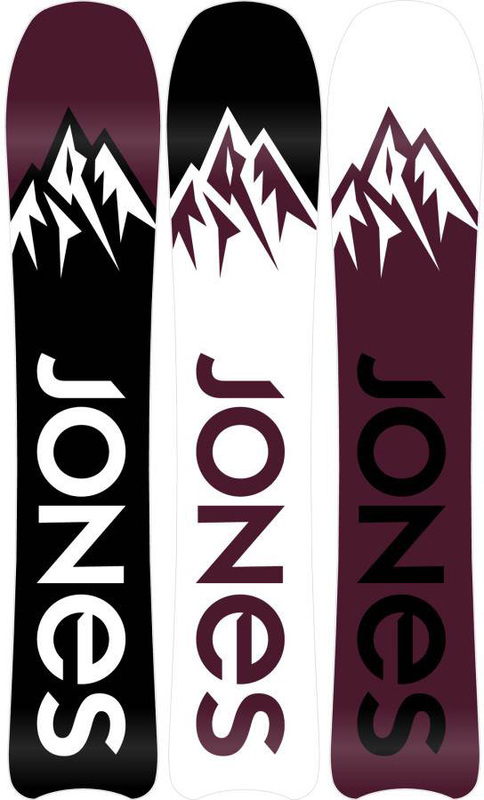 Bindings: Burton Cartel Limited, Burton Diode, Now Drive. On Snow Feel: Same great stable board that feels like it would be harder to ride for two guys with size 8.5-9 boots but we didn’t have much issue riding this 26cm waist board. Its a Powder board first but a very close second when it comes to groomer riding. It could easily be called a freeride board. The sides of the tail are beveled up as well to give it a little bit of an easier feel edge to edge in powder and groomers. 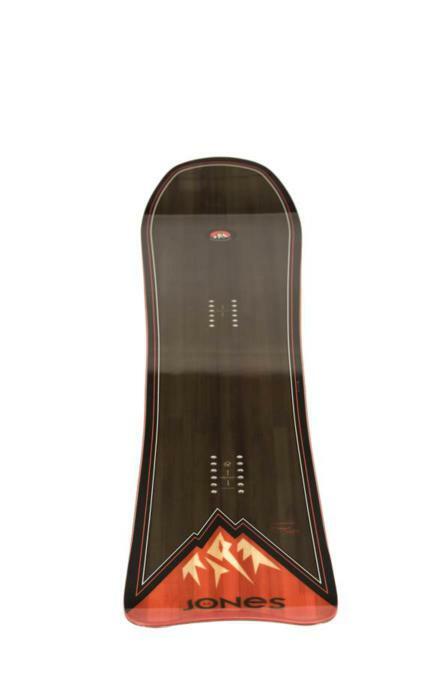 Powder: So the shape of this board and the ride is really like the name. It doesn’t ride like a fish snowboard but instead rides more like a thick wide fish surfboard. Most Fish snowboards seem to ride more like short board surfboards and are super quick and slashy but also feel like they are more in the snow. The Hovercraft to me feels like a fish I rode from Channel Islands Surfboards. It rides above the snow like the CI fish rode at the very top of the water. It could be turned quick for it’s waist width but it’s just not snappy fast like most fishes there. With the Hovercraft you really feel like you are on a 172 instead of a 156 and the float is amazing. It’s fun from trees to wide open chutes and has a unique feel for such a short board. Turn Initiation and Carving: Here is the surprise here. The Hovercraft can carve and carve very well. The set back camber makes for a fun board to really lay into a carve. The 2014 Jones Hovercraft feels like it’s a snappy carvier ride than before by just a little bit but enough to notice. Short radius turns aren’t too hard but they just aren’t quick with our size boot. If you have a bigger boot you can really snap this board back and forth. Where this board shines is medium to wider radius turns. It’s almost as much fun as going out on the Jones Flagship. Speed: Now this isn’t the ultra bomber board like the flagship but it’s pretty close. 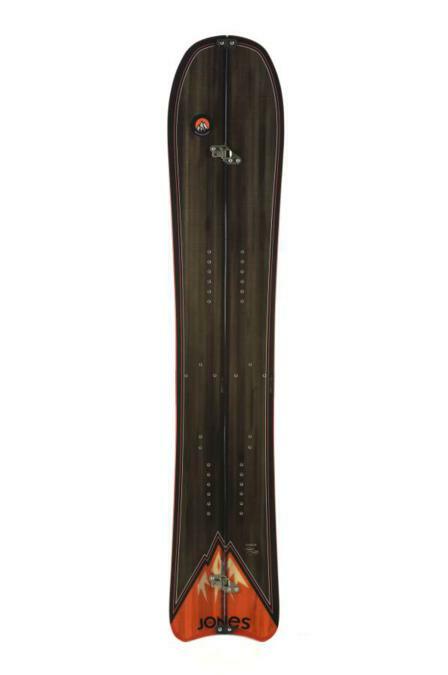 The base is really fast and can hold it’s speed through long flat powder sections or down a long cat track. The Hovercraft board can handle chatter and chunder on the way to the good stuff. The speed is excellent in powder and almost the same on groomers. Uneven Terrain: The flex of the Jones Hovercraft 2014 is going to be slightly more mellow but just as springy. Even thought he waist is pretty wide and it’s not the quickest edge to edge the board is pretty tolerant in slower bumpy bad snow. You can deal with messy groomers pretty well here. 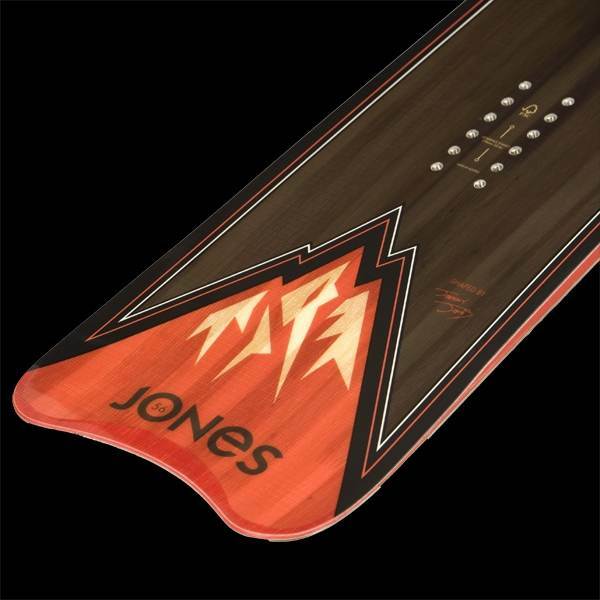 Approximate Weight: The Jones Hovercraft got lighter in 2014 and it makes the board feel easier on the knees when riding up the chair lift or hiking. It’s not that important but it does feel better than the older models. Edge Hold: We feel this is the perfect amount of edge hold for most riders. It can handle hard snow no problem but starts to loose it’s edge in icy conditions. So from Hard to soft thick powder it does just great. Grips when you need it but doesn’t grab when you don’t. 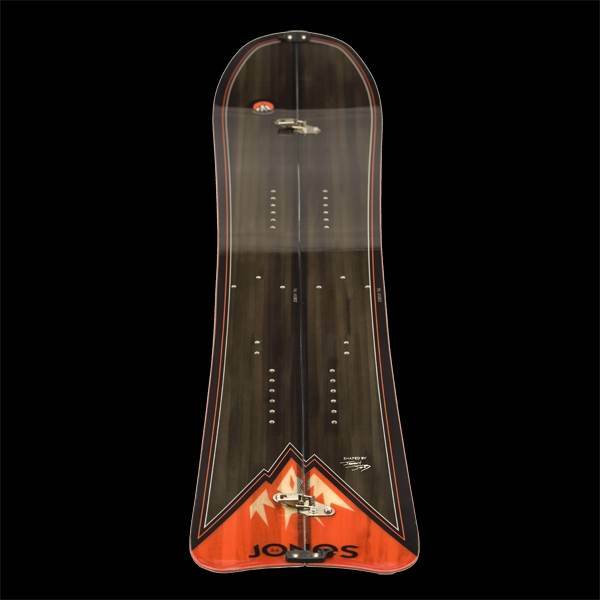 Jumps: Not a park jump board but the 2014 Jones Hovercraft has a little more spring off the tail making it a much better board to ollie off natural terrain. Pipe: I actually did a few laps in the pipe and it was a lot better than I thought it would be for just mellow directional riding. The waist was a little too wide for me but it was fun to make longer wider turns under the walls like I’m surfing. 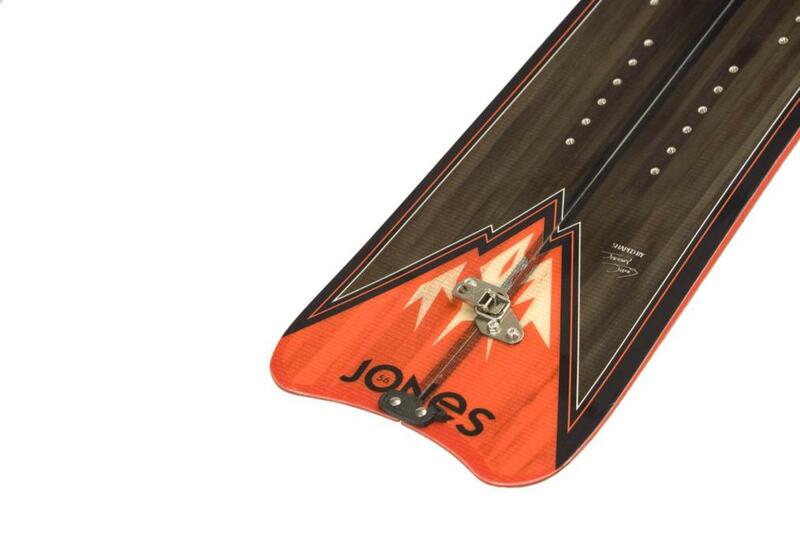 So in conclusion the Jones Hovercraft 2014 is the best of all the years and you get a lot of board for $450. The older models are still great and if the price is right then go for it but if you ask me I would say go for this if you aren’t down to your last dollars. 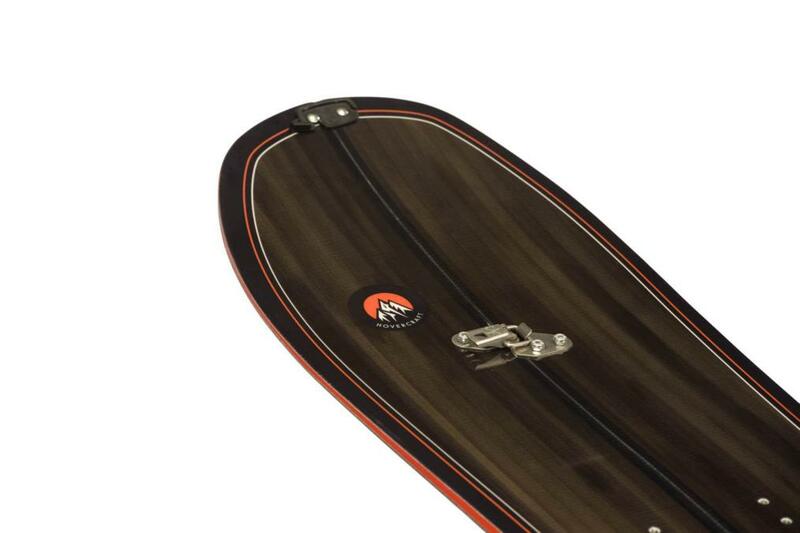 The Bamboo Top Jones Hovercraft 2014 to us has improved to the point it’s worth the extra $50. It’s lighter, snappier and just a more fun ride than before. The general rating is the same but there are just little things that make the ride feel better than the older models. 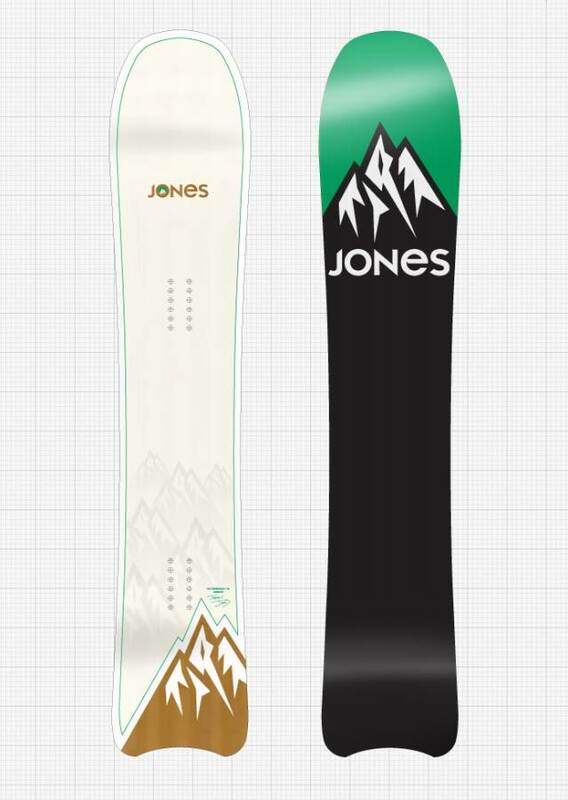 The Jones Hovercraft 2013-2011 came from the mind of Jeremy and it truly rides like it’s name. 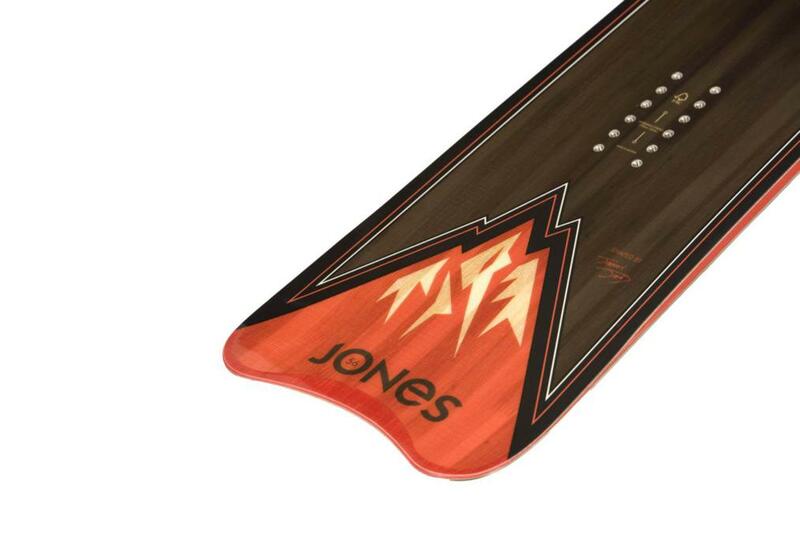 One thing we really like is Jones recognizes the Hovercraft as a quiver board and charges you accordingly. The Hovercraft rides excellent in powder but also does very well on groomers. The build quality of the 2013 Jones Hovercraft line is much better than older models. Conditions: Hard Groomers to soft groomers and a few powder days with up to 2 foot plus of powder. 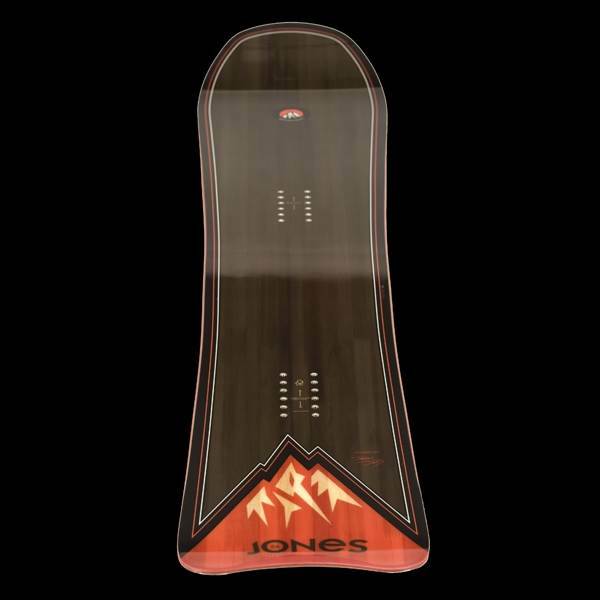 The Jones Hovercraft waist is pretty wide for such a short board but it still is very easy to transition from edge to edge. 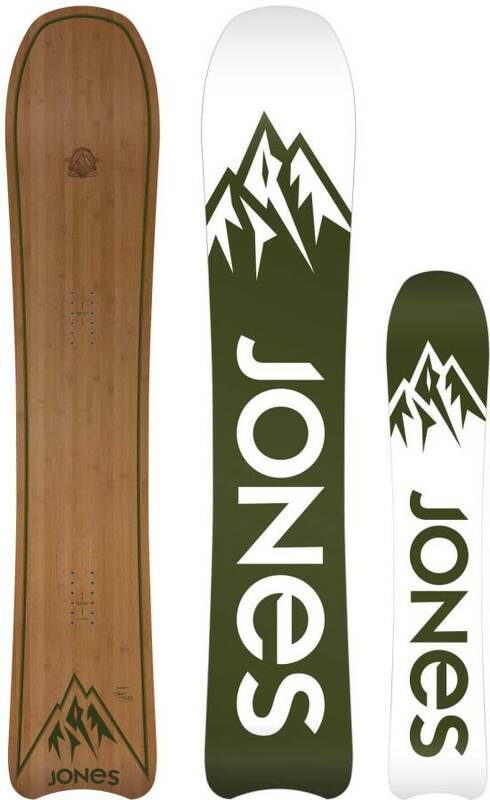 The mostly hybrid camber shape with lot’s of rocker in the nose floats really well and not just for it’s size but really well for any powder board in any price range. The -20mm setback and 11mm taper makes the Hovercraft not super fishy like you would think it would ride but you can get pretty slashy. 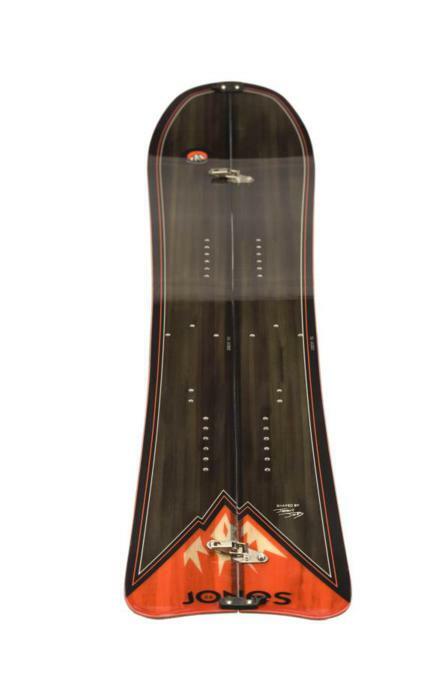 Compare this to the most popular fish the Burton Fish that has a -20mm setback and a 30mm taper and you see why this board is better on groomers than the fish. Also the mellow magnetraction is borderline excellent so hard pack on a non powder day or ice on the way to powder is more than manageable. We are really surprised at this statement but we almost had as much fun on morning groomers with the Hovercraft as we did with the Jones Flagship and the Yes Pick Your Line. 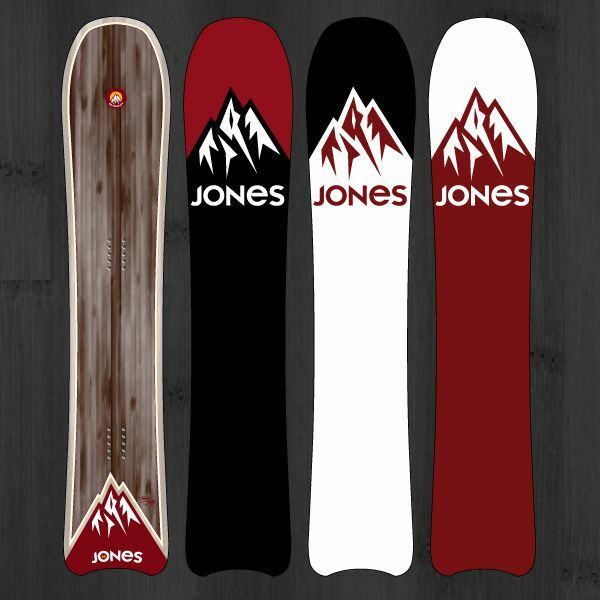 The 2011 and 2012 Jones Hovercraft have not changed much except they added some new sizes so you should be happy with either year. 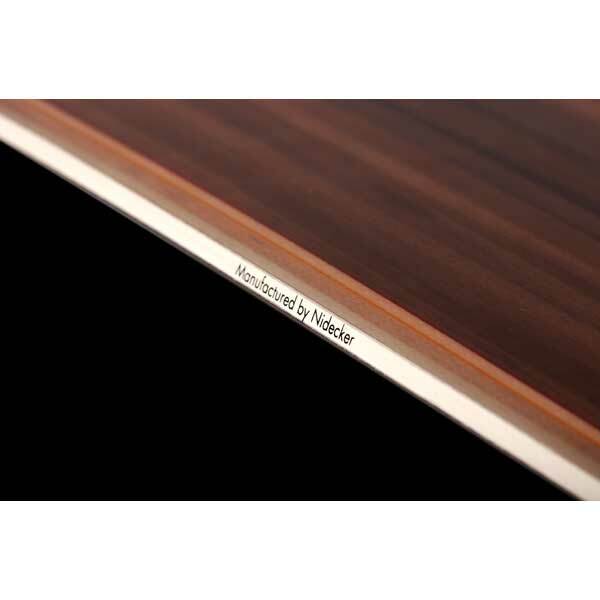 This is a great choice for those that always wanted a powder board or those looking for a new powder board. It also comes in a split version. 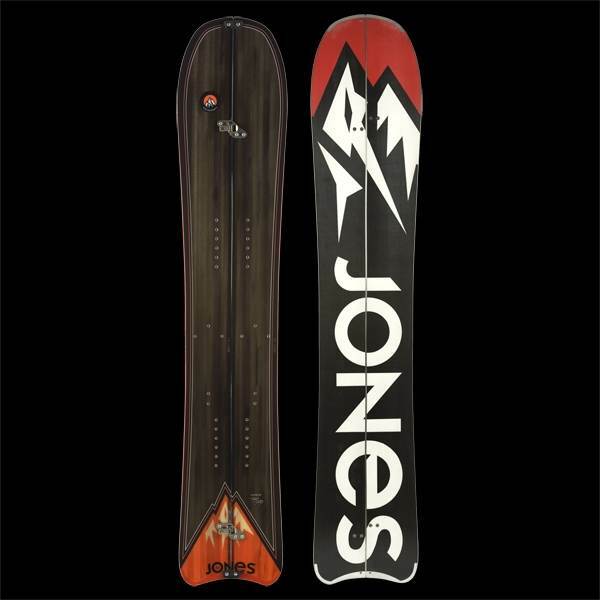 The 2013 Jones Hovercraft is the same board with a faster base, a little bit more camber and a better build quality so this year is the best call. The Jones Hovercraft seems like it would be awkard anywhere except for those that like a surfy approach to deep powder. 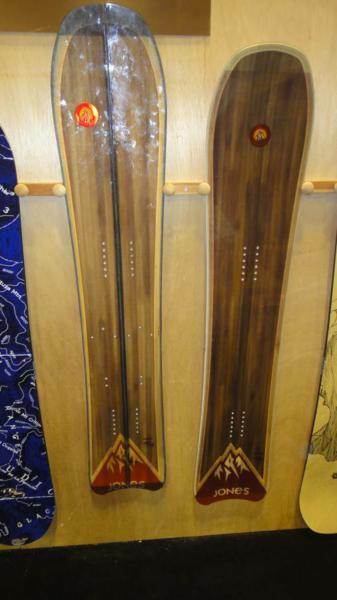 This is where this quiver board surprises you. All of us at The Good Ride had a blast on the Hovercraft in and out of powder. On Snow Feel: Thought this would be an average groomer board but instead the Hovercraft performs like a good camber board. It has a very fun stable directional kind of ride. If you don’t set the stance too far back you have a pretty good carving board for morning corduroy. Real surprise here. Powder: This is what the Hovercraft is made for so you know it’s going to be good. We have had a lot of fun over the years on this ride. It’s not as slashy as let’s say the Burton Fish but when you are on the tail of the Hovercraft it can still be pretty slashy/surfy. 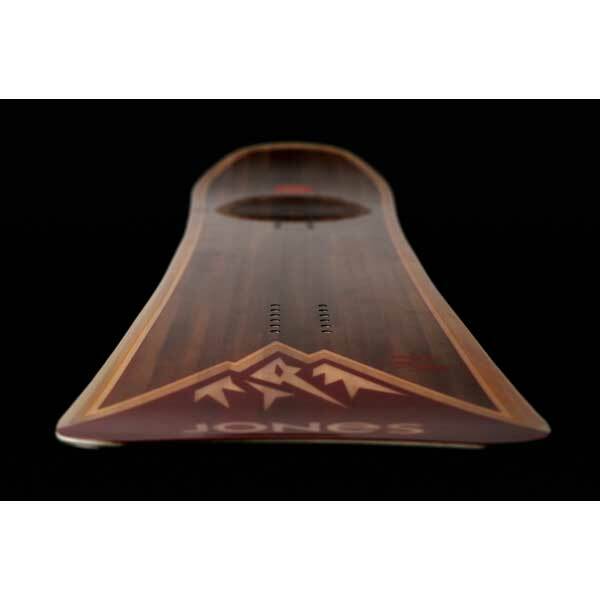 The wider waist, gives this the surface area of a bigger board and along with the special nose the float is exceptional. The taper is minor compared to similar boards of this size but 11mm still does a pretty good job helping you sink the tail. All in all this isn’t a typical powder ride but it sure is fun. If you surf you will feel like you are riding a thick fish that makes you feel like you are floating above the snow instead of being a little bit in it like you are with a short board. 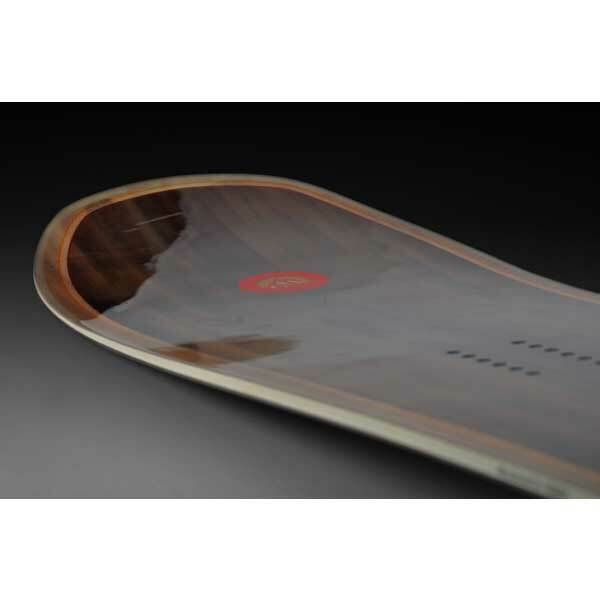 Turn Initiation and Carving– The waist ranges from 25.6cm to 26.4cm which is pretty wide. You would think the Hovercraft would be hard to throw around but it’s not bad at all. The 11mm taper, set back hybrid camber big nose shelps you turn pretty easy. It’s not super easy but right about the middle of easy. Making quick tight turns like in trees or narrow chutes is pretty easy. When getting out on normal snow the Jones Hovercraft is really fun to carve out a turn. We almost had as much fun on the Hovercraft as we did on the YES Pick Your Line and Jones Flagship. Weather you are making quick tight turns or big wide open carves that send you back up the hill you will be pretty happy on the Hovercraft. Speed: This $400 board has a fast base and is pretty damp so picking up speed is not a problem. The 2013 base is faster than the 2012 but the stability/dampness of all the models is the same. You can feel more glide in the flats and the speed pick up a little faster than last years. Uneven Terrain: It’s a little wide between the waist so a regular footed rider might have a little trouble edge to edge in the moguls or in tight spots but it’s shock absorption is pretty good under the foot. With a good shock absorbent binding underfoot it’s not bad at all. Edge Hold: Usually tapered boards like this are not very good when it comes to edge hold but the Hovercraft’s mellow magnetraction side cut combined with the hybrid camber shape makes for boarder line excellent edge hold. Even going out in moderately hard snow the Hovercraft is more than capable. East Coast ice might be too much for the Hovercraft but snowment is doable. Flex: This is on the medium side of stiff but very playful for a board of this flex. Switch: Not very easy but that is expected with a tail like this. Pipe: The hovercraft is actually ok in the pipe thanks to it’s edge hold but its directional ride makes your pipe options limited. Jumps/Pop– The pop on the Hovercraft when it comes to ollie power is acceptable but not super springy. It’s still pretty easy to hit a wind lip or cat track. All in all we were impressed with the depth of the Hovercraft. 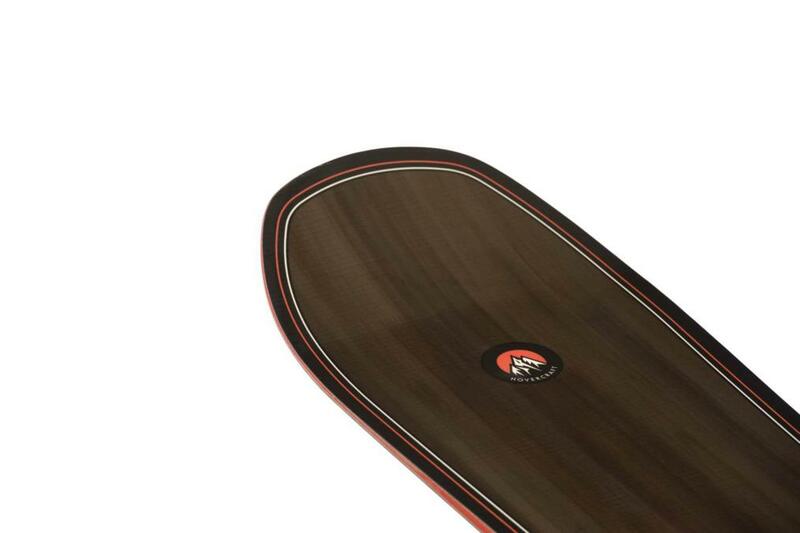 We thought it would just be a powder board but it is a great groomer board as well. The Jones Hovercraft rides big and lives up to it’s name. We try to get as many images of the Jones Hovercraft, but forgive us if they're not all there. I rode this board for the better part of last year. For me it became a bit of a niche board. At first I really loved it through massive open pow fields. Getting there through the groomers and ice was a breeze. For big mountain riding, its my favorite in the quiver. However, at lower angle tree runs, I prefer something with a bit more flex and shorter. That being said, if you get a high angle pow field with some cliffs, it's stiffness holds into turns and the spoon camber rocker combo pushes you into the next. Really fun board! 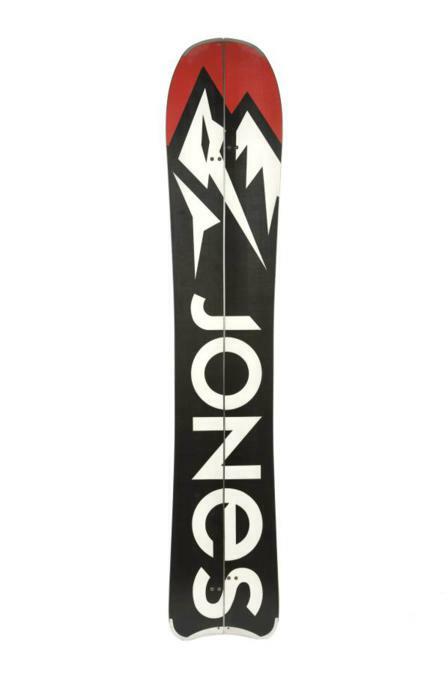 Height, Weight And Boot Size (for Boards, Boots & Bindings): 5'9", 175 lbs, 9.5"
With the Hovercraft, Jones has brought surfing back into the sport. While I haven't been out in perfect overhead barreling conditions yet (moguls and choppy hardpack on my 2 days of use) it truly rides like a board carved for snow and not a piece of cheap uneventful wood. It is extremely responsive under varying terrain and it begs you to put an edge down or lean back and drag your hand on the wake behind. I have cycled through quite a few boards over the last few years and usually reach a conclusion of "blaah" within 1 or 2 runs - not this one. If groomers are just highways to the pow but when you are forced to be on them you like to bomb and throw down solid carves then this is your board. Quick, responsive, snappy and floats like nothing else I have ever ridden (I thought the Notch would be hard to beat in the pow, this thing is next level). Got to demo this on a bluebird day in Australia, two days after a 30cm fall. 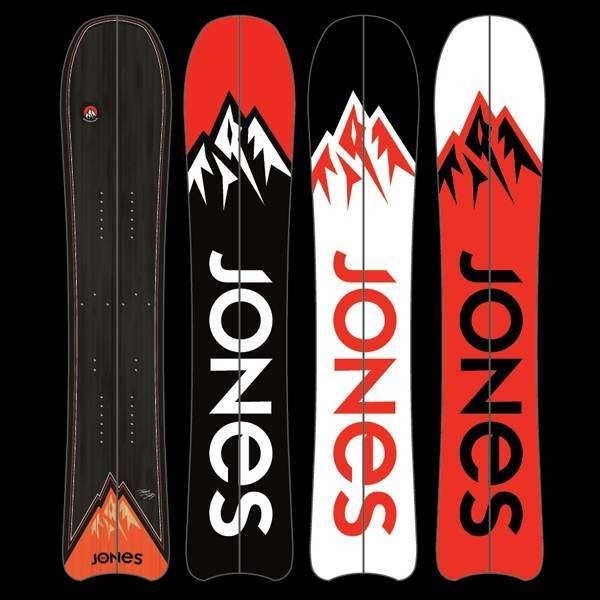 I'm heavy for my height, having hit the gym hard for 2 years to handle my Solution Carbon, so when the Jones rep handed me a 152 I was very dubious. On my second turn down a crowded groomer I could feel my eyes widening in disbelief at how right the board felt beneath my feet. I took it straight to an ungroomed area that had a mix of wind blown pow, chopped up refreeze, wind frozen crust and exposed vegetation plus rock. I've never ridden faster through that area ever, despite the variable conditions the Hovercraft kept on keeping on. Getting back to the groomers, I turned the tap on to full and overtook everyone in front of me with bigger carves than I have ever done. I've never ridden faster in an Australian resort ever. Was very reluctant to hand it back, it confirmed that despite my dalliance in freestyle that I am a freerider at heart and now I need to find a little Hovercraft like that one to make my life complete. this review will be somewhat contrary; in my opinion, Jones missed the mark here. In Powder: there are better powder specific boards out there. What they could have done better: even though this is their powder board, it has the longest camber section out of their lineup. Why don't they have the early rise begin further back towards the front binding like their other boards? also, why is a wide board still skinny (this is a complaint with the industry in general) Jeremy Jones is not a big guy. He is a size 7.5 or 25.5cm & the Hovercraft he rides is 26cm @ the waist. I am a size 10 or 27.5cm so an equivalent sized board for me would be 28cm in the waist. I got the wide model but it is still only 26.4cm which would be an equivalent of Jeremy's Hovercraft being only about 24.4cm at the waist if he were stuck riding a board designed for someone else. -so while an extra .4cm is better than nothing, the Hovercraft concept to be congruent with a size 27.5 foot would be to add an extra full 2cm to the width of the board. I can't imagine size 10 footed riders are that uncommon...seems to be a pretty common size? Carving: what could have been great with it's long camber section, totally failed in my opinion. 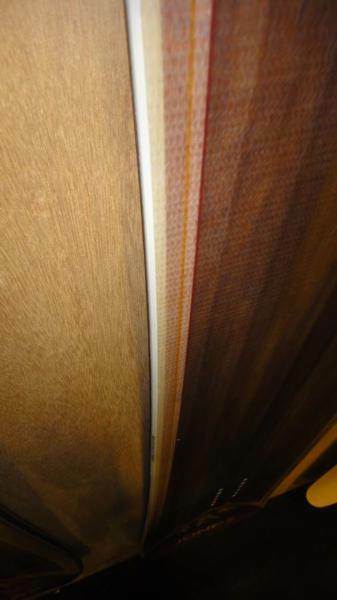 This board is not torsionally ridged which results in a very week ability to carve. My go to powder board is the Venture Odin (this years model) and with no camber and a lot of early rise on both ends, it still out-carves the hovercraft by a wide margin. so mine is for sale. 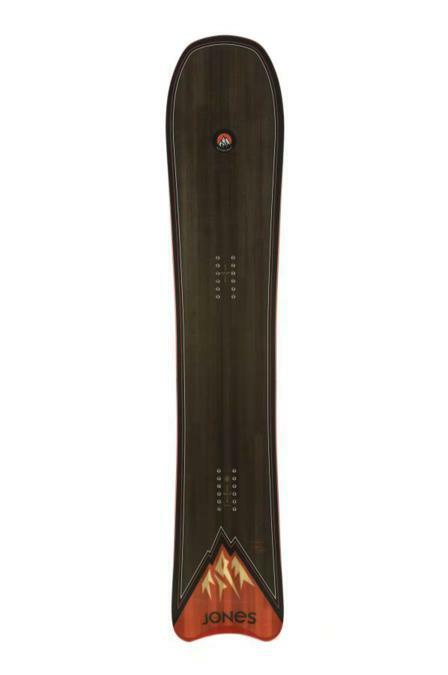 I will say that if I were to get a split board, it would be this board, but in the ultracraft (carbon) model. For skinning up I like the long camber pocket and I only go in the backcountry for powder, not to carve so that no longer becomes an issue...and on the uptrack I would be happy with this width. I'd be looking at and reading up on this stick for a while in 2013 and when we booked our trip to Niseko, Japan I bought one. Well, I've just returned this morning from an overnight flight from Japan and I haven't stopped thinking about how good this board is. We rode 13 days straight and I used this board every day bar one, and I should have used it on this day too! The Hovercraft was great for all in-bounds and out-bounds riding obviously barring the park, although it also handled the half pipe ok. 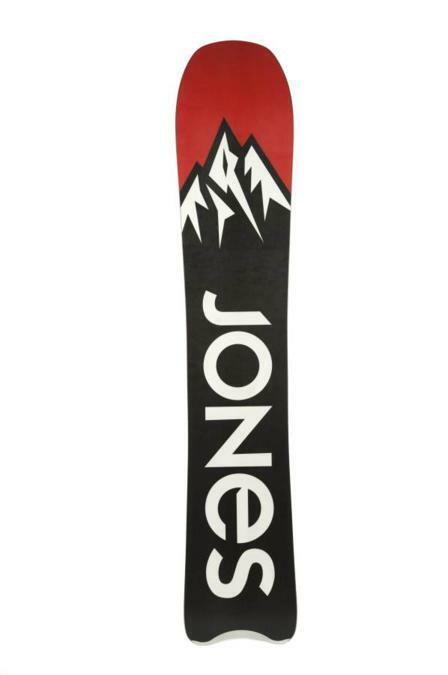 This thing rips early groomers, handles chop and, as per the design, does it's best work in the pow. We were blessed with shin to knee deep pow every day this past week and made the most of what this board offered. A waist high pow side country trip also brought the best out of this board. The skiing crew we were with actually said "wow, that thing really gets on top and 'hovers'", not knowing that was the name of the board! Recommend this board very strongly. I rode it with NOW Drive bindings and Burton Imperial boots. Keep up the good work James n crew.